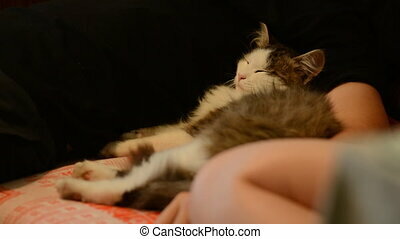 Young girl stroking fluffy cat lying on the bed. 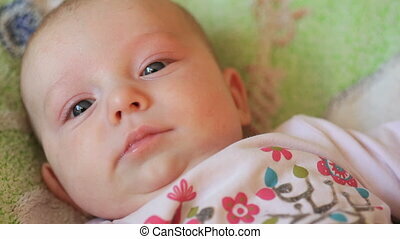 little girl lying on the bed closeup. 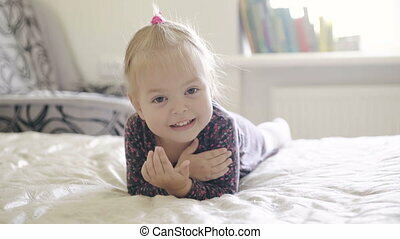 Girl lying on the bed moves feet. 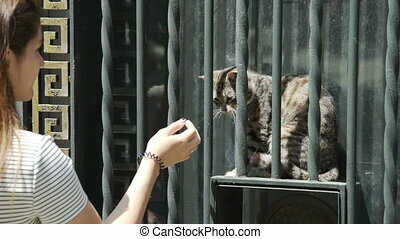 Pretty young girl stroking a cat lying on bed. 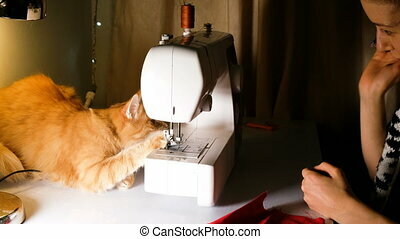 Horizontal indoors shot. 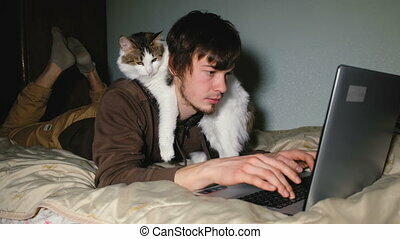 Beautiful young girl lying on the bed reading a glossy magazine. 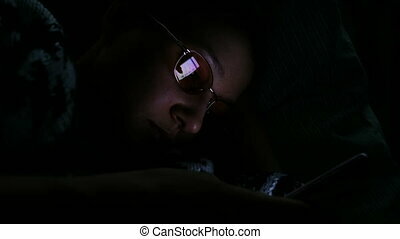 Girl lying on the bed in the dark and looking at the phone, which is reflected in the glasses, 4k. 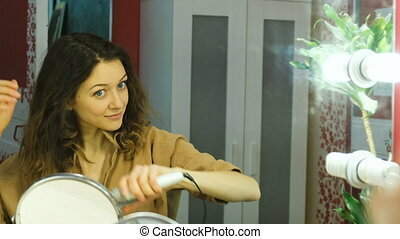 Young beautiful girl curls her hair on a curling robe in the dressing room. 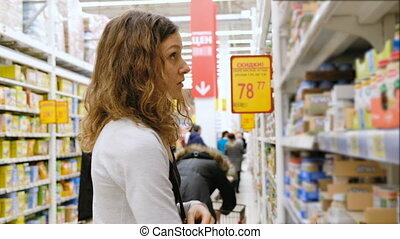 Young girl reading the labels on baby food in the store and can't choose, 4k. 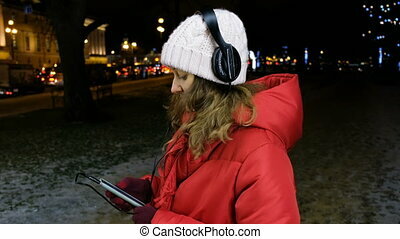 Young attractive girl listening to music on headphones in a smartphone in the evening in winter. Young girl chooses a pillow at the Mall, 4K. 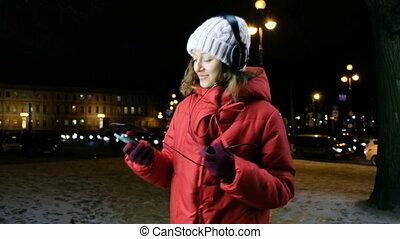 Young girl gasping snowflakes in the city with headphones on the background of the Christmas tree, closeup. 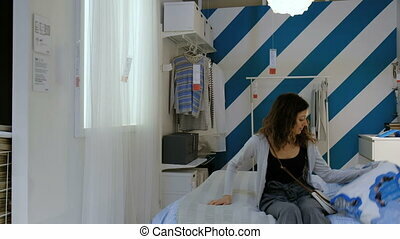 Beautiful Caucasian girl chooses a bed and mattress in a furniture store, sits on the bed 4K. 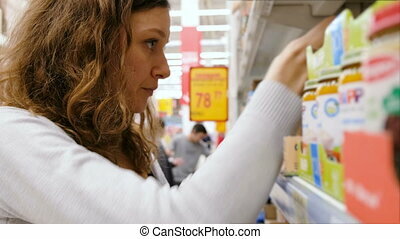 Young girl reading the labels on baby food in the store and can't choose close up, 4k. 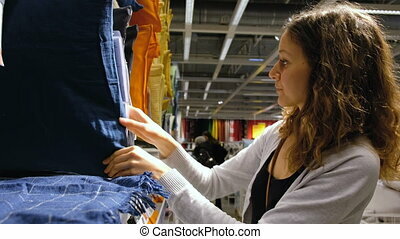 A young girl chooses the pillow in the store, 4K. 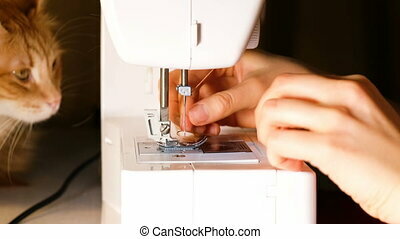 Young beautiful girl looks in the mirror and curls curls on the curling iron in the dressing room. 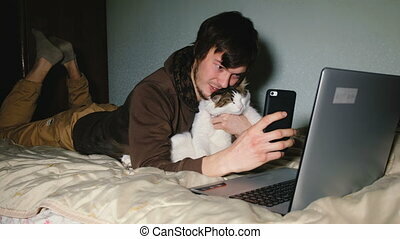 Young Caucasian man taking a selfie with the cat on smartphone lying on bed in front of laptop. 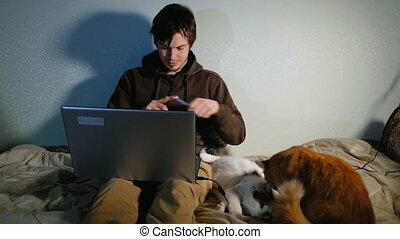 A young man working at the laptop on the bed with his cat, closeup. 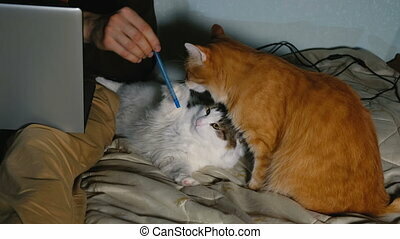 Cats lick each other lying on the bed against the working men with the laptop. 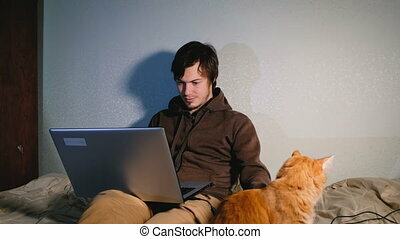 A young man working at a computer at home, sitting on the bed with the cats, the cats bask and play. 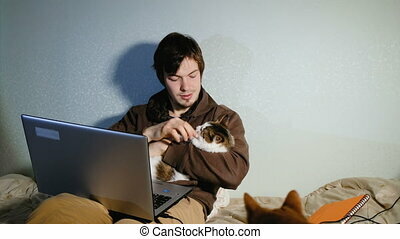 A man plays with a pen with your cat sitting on the bed with his laptop, the cats distract from the work.